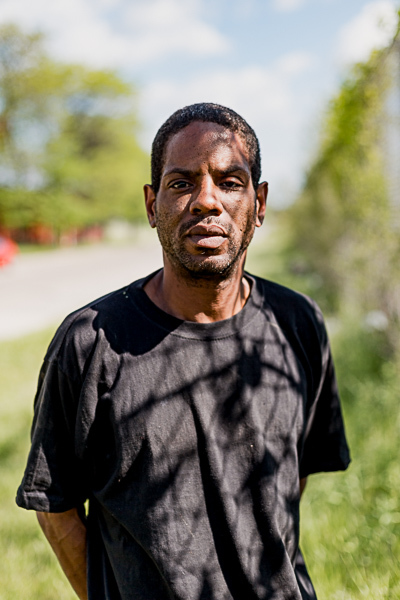 Jordan Polk has already worked in almost every facet of Detroit's food system. 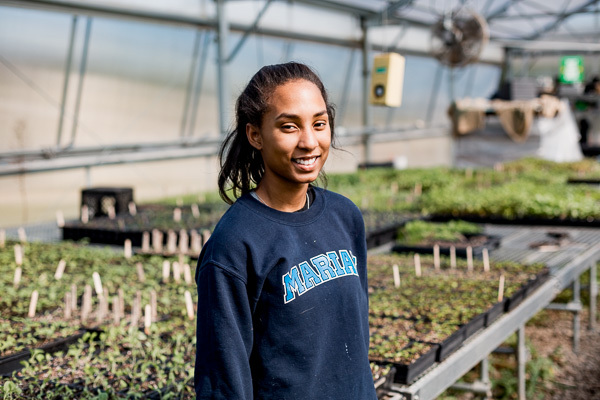 A 17-year-old high school senior, she spent the past summer working as a youth apprentice with Keep Growing Detroit (KGD) where she helped out at community gardens, built raised beds and water catchment structures, sold produce at Eastern Market, and wholesaled produce to local businesses. She also attended the 2016 Good Food Summit and other events, experiences she says increased her confidence. As a youth apprentice, Polk learned job and farming skills and earned a small income. But the experience had an impact on her well beyond skill-building. "This program mainly shows you how to live your life and how to live it longer," she says. "Instead of working and being part of 'society,' the farm teaches you how to feed your family, how to feed yourself for a low price. So it's kind of teaching you how to manage the money that you make in the world." As Polk sees it, these are important skills for her and others in Detroit's African-American community, where health problems related to diabetes and high blood pressure are common. And her insight about living your life beyond getting a job and making money is profound—real success and happiness depend on learning how to live as part of a community. 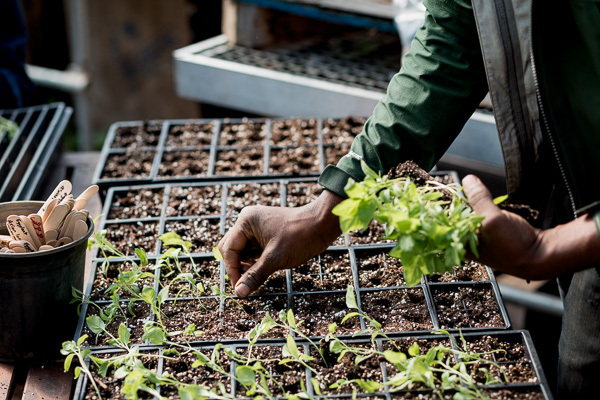 Ideas of community, healthy living, and sustainability are common themes among youth gardening programs in the city of Detroit—programs that engage young people in a conversation about how to change themselves and the places where they live. 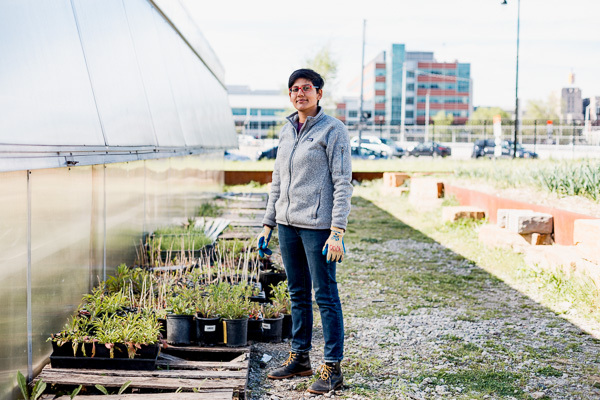 Anita Singh, who runs youth programming for KGD, first became interested in farm-based education when she was working as a science teacher in New York City. She took some of her students on an Outward Bound trip to the woods and noticed that those who struggled in a traditional classroom setting displayed a different personality outdoors. "There are certain skillsets that aren't always beneficial in a classroom," says Singh, "and those can really come out and flourish in a different learning environment." Engaging youth, however, takes some work. "We can't just go out and say, 'Come work on this garden,'" Singh says. "We really need to plan and address the needs that are coming out of the community, with the community, to get them involved. What are they interested in? What are they looking for? How can we provide some of those things?" The popularity of cooking shows has helped the cause a bit. "A lot of our students are big fans of food media," says Jen Rusciano, executive director of Detroit Food Academy, a youth leadership program based around food. "They enjoy eating and cooking and all that, but also they watch the Food Network and follow food accounts on Instagram. I think food really has a spotlight on it in a lot of ways." Both Rusciano and Singh have used this interest to get youth into the garden and thinking about food in different ways, including where it comes from and how it's produced. For Detroit Food Academy, which is more focused on food production and entrepreneurship, this can involve working in farms and gardens, but also going to farmers markets, engaging with local business people, and thinking about the community impact that businesses can have. 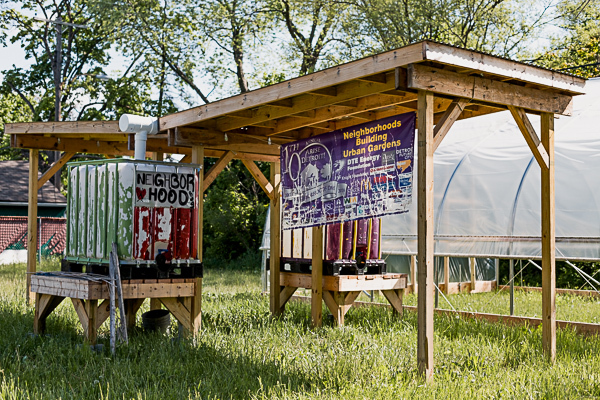 Urban farms and small, local food producers are excellent examples for youth. "It's a kind of tangible, living example of the power that anyone has if they decide they want to plant something and watch it grow and take care of it and share it with other people," says Rusciano. It's still not easy getting young people to adapt to the difficult work of farming and gardening, which is very different from work in the classroom or kitchen. The cultural legacy of slavery can also be a discouraging factor. "Definitely telling my friends… was a struggle," says Polk. "They associate farming with slavery. They don't see who farmers are and the actual benefits that farming gives because they only think of farming for Caucasian people, but it's actually farming for our own community." Orlando Thorpe, C.E.O. of Neighborhood B.U.G. That's why the person running the programming can have a big impact. "We would have more people of color exciting by farming if there were more people of color farming in the forefront," says Orlando Thorpe, C.E.O. of Neighborhood B.U.G. (Building Urban Gardens). His organization works on the west side of Detroit engaging a largely African-American community. For the last three years, it's hosted a number of youth apprentices who grow food on the property and sell it at Eastern Market, splitting the proceeds and the produce with local homeowners. Thorpe sees gardening as useful to bringing a neighborhood together. "Community. Community and unity. Seeing that everyone has to play a part." But establishing some sense of community and belonging is also important for engaging youth in the first place. As Singh puts it, "It's really important to build that sense of community with young people—and trust. We always have our daily check in where we go around and talk about a topic that's on everyone's minds, then our agenda for the day, what work needs to happen. But we also get input from them, like what are they interested in." Putting the work in context is both a challenge and an opportunity for youth leaders and their adult counterparts. Singh says it's important to locate the work they're doing within the larger discussion of current events that young people may be concerned about, like the Flint water crisis or local issues with drinking water. Considering agriculture's dependence on water, this is an easy connection to make. Contextualizing the work day to day helps young people see the importance of the sometimes difficult or monotonous tasks before them. "You weeded these two beds and that seems crappy," Singh says, "but actually if you come back next week you're going see how these carrots grew. Or that you really saved that crop. Or how that crop is going to produce X amount of dollars for this garden, which is going to help all of us." Anyone who has had a job could probably benefit from this lesson, and it's one of many ways that programs like KGD prepares young people for future careers. But young people are there to do more than learn—they're also teachers in their own right. Youth apprentices routinely help older members of the community with gardening tasks they're more skilled in or physically able to do, as well as troubleshooting technological problems. In a larger sense, KGD, Neighborhood B.U.G. and Detroit Food Academy are helping young people to realize their own visions for changing the world around them. Polk sees herself returning to Detroit after college and starting her own food business and nonprofit to help low-income Detroiters access healthy food. "With all of these skills, I now have more confidence," she says. "It's kind of empowering in that way to have the confidence to not count myself out."